What started as a simple request for comment on June 12, 2013 by GallowayTwpNews.com regarding a change in Sick Time Policy by Chief of Police Patrick Moran, ended up with several emails in which Moran asserted to his Rank and File of the Police Department that individuals had violated policy and would face consequences for "releasing department related information without authorization." UPDATED x2: Comments have referred to a post made by Chief Patrick Moran on his Facebook Page. 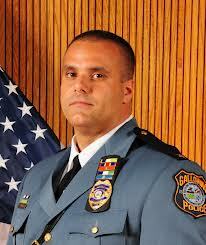 GallowayTwpNews.com has obtained a copy of the post made by Chief Moran on Sunday, July 7, 2013 @ 5:58pm. Clarification: As a follow-up to several emails we have received regarding this story, other than the comments issued by the Chief in his own emails, the Chief has not responded to numerous requests for comments regarding this story. According to the emails sent by the Chief, he asserts individuals within his department have released departmental information to the Publisher of this website. The Chief in his emails to the department does not specify what information he is asserting was released other than content of emails he was sending to his department, as we released below. The Chief as well as the Captain have not confirmed the nature of an investigation or if one is officially being conducted within the guidelines of the Attorney General. The Township has had several weeks knowing this story was developing and still choose not to comment. We want to assure the readers the Chief of Police was provided several opportunities to respond to these allegations from multiple sources within the Police Department. Since February 2013, GallowayTwpNews.com has been reviewing several policies and procedures within the Galloway Township Police Department. A policy recently clarified by Moran was a policy regarding departmental sick time referencing a call out policy. A clarification in policy that Moran stated to his officers, "may not be received so well by the general public." In a response to our request for comment on this clarification, Moran stated to GallowayTwpNews.com, "is this really news/blog worthy?" We question if it wasn't news/blog worthy, then why would Moran even worry about how the Public would perceive a decision he made? We further refuted Moran's term of "clarification" indicating in our opinion it was a "change in policy" since he revised wording in a previously issued Departmental General Order 89-005. Our request for comment apparently was not received so well by Moran since we quoted a portion of an email in which he sent on June 3, 2013 to members of the Police Department with the "clarification in policy." The email we quoted was obtained by a source and not initially through an Open Public Records Request. The obtainment thwarted an email from Moran to several members of the Police Department asserting the release of information was "harassing." The following email was sent by Moran to members of the Police Department which contained a thread in the email which included our request for comment and further our explanation to whether it was news/blog worthy to Moran. Essentially, this was the beginning of several emails sent by Moran to his Rank and File that several sources described as aggressive and intimidating in nature. "I have recently received an e-mail request from the editor of the GallowayTwp News.com in regard to an e-mail I put out regarding our sick time. The editor had exact words and the exact time I e-mailed it. I want to remind everyone that releasing department information without authorization is against policy. I am also issuing an order by way of this e-mail to all employees not to release department information to any news agency or blog. As you can see by the below email exchange, the editor made sure that it was clear that the previous methods were legally acceptable and that no change was necessary. Even so, my last email regarding the clarification stands. However, when the clarification is released, it may not be received so well by the general public. In closing we have points of contacts for the press and others for a reason. I am not sure who released the e-mail without authorization or why but I will say it again, it is against policy, counterproductive, and harassing and I am ordering it to stop. Thank you for your consideration in this matter." When we learned from several sources of Moran's email of June 13, 2013 that he sent to his department staff we immediately filed an Open Public Records request for that email. Our Request for the record was later DENIED by Captain Chris Doyle. However, our OPRA Request resulted in the Chief of Police sending out another email on June 17, 2013 and again was described by several sources as aggressive and intimidating in nature. According to the tone in the email, the Chief was upset that someone had released information about an email he sent and we later OPRA'd. "I can't express how truly disappointed I am that someone would would disobey orders, disregard SOP's and violate rules and regulations to provide information for the purpose of causing turmoil for the administration and department." In our opinion, it not only sounds as if the Chief is upset at his Rank and File, but he is upset that we filed an OPRA Request which is our right to do so. In information provided by several sources, the administration of the Police Department feel "bogged" down even if one OPRA Request was submitted. In regards to the email, this time several sources indicated they were starting to feel threatened by the constant emails sent by Chief at all hours and by the tone of the emails. On June 13th I sent out an e-mail regarding the release of information. Included in that e-mail was an order for officers not to release ANY information related to the department to any news agency/blogger/person. On Saturday June 15, just two days later, the editor of gallowaytwpnews.com sent an OPRA request for that e-mail. I can't express how truly disappointed I am that someone would disobey orders, disregard SOP's, and violate rules and regulations to provide that information for the purpose of causing turmoil for this administration and department. As I stated before, the release of the info is against policy and rules and regulations and in direct violation of my last order. We were/are unaware of any problems, we were not notified of anything, asked or advised prior to it going outside of the department. Once again, this administration has not had the opportunity to address an issue prior to it going public. In closing, I repeat the previous order from June 13th that no department related information is to be released to any person, any member of the press, or any blogger in a manner that is not consistent with our policy. Additionally, this department will continue to look into this matter and I ask that if anyone has credible information related to this or any other unauthorized release of information to advise your supervisor, shop steward, Captain, or me directly." When we learned of the latest email sent on June 17, 2013 as well as another email sent by Moran regarding changes in Dental Benefits, we sent another request for comment. The basis of our request was to understand what Policies the Chief continues to reference in his emails that he alleges a member of his department continues to violate. Our request for comment again was not received well by Moran as he sent out another email on June 25, 2013 to his department now in our opinion, slandering and defaming GallowayTwpNews.com as well as in our opinion, threatening his Rank and File. Moran stated in his email on June 25, 2013, which to our understanding was sent after he saw this publisher in attendance at the Council Meeting of June 25, 2013, and further asserted in his statement that this publication, a "Blog" is not a legitimate credential press outlet. "Once again, there has been a release of a department e-mail. I will not be commenting as this "Blog" is not a legitimate credentialed press outlet and I am not required to do so. I don't know what more to say. Whomever it is, knows what the consequences if you're discovered. See Below"
We immediately learned of Moran's email and the content stated within. GallowayTwpNews.com sent a final request for comment to Moran and further copied Mayor Don Purdy and Council, Township Manager Arch Liston and Township Solicitor Michael Fitzgerald on our email to Moran. We requested an apology from the Township and from Chief of Police Patrick Moran for his alleged false, defamatory and slanderous comments. Our email went unanswered by all individuals on the email. All of our subsequent requests for comments to Moran regarding all of these emails went unanswered by Moran. GallowayTwpNews.com contacted the New Jersey Press Association regarding Moran's comment. After several conversations with Peggy Stephan Arbitell, it was determined that Moran's comment was completely off base. This website for all intents and purposes is an established media outlet and referred to as a media blog. This website is NOT required to obtain Press Credentials as we are not an entity in which the NJ State Police require for "spot news" reporting and/or on scene reporting for Police and Fire scenes. Press credentials are NOT required to cover Municipal, County or State Government meetings or events. The Township of Galloway and Chief of Police Patrick Moran still have not issued an apology for his statement regarding this publication. GallowayTwpNews.com has submitted valid OPRA Requests for each email above sent by Moran. Moran verifies in his emails to his department that this Publisher has exact wording of emails sent by him. So far, two of our three OPRA Requests have been DENIED by the Township for release. Captain Chris Doyle states in each Denial the purpose of "on-going investigation" as an exemption not to release the emails in which we have already obtained through various sources. GallowayTwpNews.com, in an effort to exhaust all legal avenues regarding this alleged on-going investigation, sent a request for information to the Departments Public Information Officer Donna Higbee. Our request was for information regarding any Internal Investigation commenced regarding Release of Information as alleged by the Chief. Higbee initialed responded indicating she was not aware of an investigation but would look into it. Higbee, following the proper protocol submitted our request to Captain Chris Doyle. Doyle responded to our request only stating, "you are not entitled to this information." We requested clarification as to why we were not entitled to information that would otherwise be releasable pursuant to a General Order established in the Police Department. Doyle responded by stating, "The Chief or myself have not authorized it, as stated in the Policy. You have asked for the same thing through OPRA and now through our PIO. We are not releasing information pertaining to an ongoing investigation." GallowayTwpNews.com intends to file a legal complaint against the Township and the Custodian of Records for each of the DENIALS in which we feel is not a valid exemption. Based upon what we have released above, in our opinion and experience, there is nothing stated in those emails that would be inimical to the public resulting in a Denial. The Public has a right to know what is stated in those emails and how the Chief of Police is communicating to his Departmental Staff. In several interviews we have conducted, several sources had indicated the Chief's emails are perceived as aggressive, intimidating and further harassing. Several members of the department have reached out to GallowayTwpNews.com after we first advertised several quotes the Chief stating in emails. All confirmed our statements were accurate and were stated by the Chief. Even more so, there was an overwhelming consensus that they felt by speaking out that the Chief and/or Administration would retaliate against them by opening an Internal Investigation on them. Hostile Work Environment, stated by several sources was a common word used. Several of the individuals who reached out after we had already obtained the emails stated they feared for their job even though they did not have anything to do with the release of information. In fact, several sources stated they originally laughed at the Chief's emails until he continued to send them and they became more and more intimidating. Some didn't even have a clue what he was talking about. They felt the Chief was just asserting his normal intimidation personality by forwarding our requests for comments to the full department. GallowayTwpNews.com intends to follow-up on this story as more information provided will develop into another story as well as other significant tips we received including a decision made by Moran that permanently removed Military Pay for training on weekends to each Military Personnel in the Police Department. A removal in pay that now could cost some their reenlistment in the Military. This chief needs to retire. When you get to the point that your speaking like that in emails to your own guys, you have lost the passion of Law enforcement. Put your papers in Chief Moran. Its time to look towards another career. What a disgrace. My son is a cop in Galloway. I don;t care who you are, you never speak to anyone like that. Who does this guy think he is. My son risks his life to work as a cop and you treat him like that. Im appalled. yet Another day in "Galloway"..
What is the fear with the guys talking if you don't have anything to hide. This reads as the Chief had a lot to hide including how he has been treating the guys. I'm glad the public gets to see what happens behind the closed doors of the Police Dept. Maybe I'm missing something? The tone of the email??? Give me a break! Maybe rules were implemented and SUPPOSED to be followed so things weren't blown out of proportion by people who have nothing better to do with their time then to disect emails not written to them in the first place! What the township needs is a strong leader, one that is not immature or more importantly insecure. The chief's one consistency is never trusting the people working for him therefore creating an atmosphere without unity. With all of the budget cuts that have taken place the jobs of our officers has gotten that much harder. In that line of work, if you do your job, you need to know someone has your back The chief should be that person. If that's not the case then maybe the township should be looking to doing away with that position bringing in a public safety director who will have the officers' best interest in mind. Some of you people will listen to anything. It is appalling to me that someone would defy a direct order from a supervisor. As a military person if you disregard an order you stand the chance of compromising a mission or better yet getting people killed. This is a paramilitary organization not a nine to five job sitting behind a desk. They go to work every day not knowing if this will be there last. If you don't believe me look at the Officer Down website. We have more important things to worry about in this twp. than what your writing about. Maybe you should concentrate on real stories that affect the public. Your personal agenda to make Chief Moran out to be some type of caged animal on the loose is ridiculous. Leave the Twp. Police alone and find some place else to go. What Galloway needs is an enema. Luckily for us, the first couple turds flushed themselves away with their actions, one forced to retire and the other resigning & running away like baby. Now the next pieces need to be flushed. Start with Purdy and Moran. I find it interesting that this website exposes more and more and yet some continue to attack the Publisher. If anything I think the Township and the Chief have a personal agenda to discredit this website knowing the capabilities of what can be revealed. Maybe a mutual sit down will benefit all parties to settle their differences. This story will only magnify the disruption that already exists not create it. Not every police department is perfect. If a order is given follow it but if there is improprieties and someone needs to talk about that's called whistleblower. This article is exactly that. Momma always said,"You have nothing to fear if what your doing is right, and remember what you do in the dark, will come out in the light." Seems to me the Police Chief has something he wants kept hidden. Galloway Township has had their share of lawsuits, and as long as its officials continue to act unprofessional, unorthodox, and out of control, tax payers can begin accepting this as the norm. I would like The Galloway Twnp News to investigate how much Galloway has paid out in lawsuits, and related cost. Our officials are becoming our liabilities. to run his department without outside interference or the loss of his or her position . We hope Morans replacement will come from the best their ranks have to offer, not another yes man or puppet waiting on the greens with his putter in his hands . Just waiting to add his share of bad decisions to the wall of shame of the Chiefs of the past . Maybe its time for a gender change in leadership qualities , its been working for Glassboro PD . Skipping the confusing commentary and just reading the emails by the Chief, perhaps the Chief needs a lesson in Management. I do not see in one place in this article that the information being released by done by a Police Officer. What if the information was released by someone other? Does the Chief now have egg on his face for writing emails that the adverse person can also read are intimidating? Law Enforcement officers are already viewed as intimidating individuals, is it really necessary to force your own intimidation upon your own officers. Simple answer of No! Oh hi chief. Knew you couldn't stay away. If that's your concern then hire a retired GTPD officer. The chief makes over $130000 year. You could hire a PSD for half that and spend the rest hiring an extra officer. Moran was only made chief due to his prior relationship with mayor Purdy. When Purdy first ran for council he was touting Moran as the next chief of police. That's the problem you get when friends appoint friends who don't have the skills to do the job. But somehow Galloway continues to make the same mistakes. I was an officer for Galloway for over 20 years. The sad part of this article is there really isn't an article. Only because this type of behavior has been going on in Galloway for many years. Its not new news. The other sad part is the news is now and needs to be news. I served along side Pat Moran and under Pat Moran. The leadership quality has deteriorated over time. As a Supervisor for over half the men and woman left now on the force the last comment coming out of any supervisors mouth is a threat of consequences. Whenever there is an issue, and most importantly an issue involving discipline, each member is permitted to have a Union representative present. If the Publisher is accurate, which I have no doubt she is, she was one of the best in her business, and this email was sent out to the Rank and File in a blast email, then I believe the Chief violated Fair Labor Practice Rules. The PBA Union Local #77 should be calling on the Chief to rescind the emails, conduct an investigation within his power as Chief and formally issue a charge against those guilty if there is proof. I do not see that happening here. I see in these emails a Chief that accused his whole department of a violation of Policy & Procedures, including Rules and Regulations. Which for the Public, are two different Rules for the Police Department. The Department was certified by Calea certified. An action like this would remove the Township from that certification. I hope the Township and Public really understand the full repercussions of Pat Moran's emails other then someone violated Policy. In my experience, the Chief violated multiple policies in these emails. I guess eventually it happens to the best of us. Good Luck Pat, looks like this one was exposed on you. As a follow-up to my last post, an exceptional leader recognizes when they were wrong and apologizes. Pat Moran was once an exceptional leader. Can still be one if he recognizes the faults here and apologizes to all involved. If it was me, I would do it. You state 'policies' were violated. Which ones? You make a strong statement that needs to be backed up either to support the R&F and the publisher, or admin. Do you, in your 20+ year opinion believe OPRA requirements are being violated. Do you see any 'investigation' in the mails the publisher has? If not, how can they claim an exemption? Please, I respectfully ask, respond. And, Sir, please elaborate on the Fair Labor Practice Rules violations you state you believe are occurring. In both responses please be as specific as possible with any relevant citings. Thanks, again. LOL. This is news? To think I waited all weekend with bated breath for this. I hear someone is still trying to protect the Chief from 1,100 miles away. I think the Chief already has a Buddy from next door or at least his motor cycle buddy. Can't we all just get along. Whoa...whoa...whoa...stop the clock. Are you saying that a cop is demonstrating and abusing the ability to intimidate and harass....welcome to the civilian world officers. It's not such a big deal you'll get used to it. Perhaps some day we will see the day when Galloway Township isn't run by a network of buddies stroking each others egos and covering up their misdealings because their aligned with each other for personal gain. You can attempt to discredit the publisher all you want but the fact still stands that pretty much everything reported here is newsworthy. Anyone not tuning into this site or discounting the reporting has something to gain or is close to a source that is benefitting from and being reported on for their actions. Nobody else of sound mind or the ability to filter bias from their being would care otherwise. Sir, can you state which policies you believe the chief violated? And what consequence would a line officer face for violating same? Again, thank you. Also, let's not make the assumption the R &F is responsible for 'leaks'. There's still another third of officers, and civilian employees, who receive mail content. This is on the Facebook page of Chief Patrick Moran that he posted on his timeline on July 7, 2013 at 17:58 hrs. "Remember: Those who plot the destruction of others, usually self destruct. And if you always do the right, you will never go wrong! I'm still here doing the right thing and doing what needs to be done. Good luck to all who need it...."
Can't say for sure, but I think it has to do with this story because the reply comments on this post talk about the publisher on this website. I was actually supporting Pat Moran until I just read what he put on his Facebook page. CHIEF did this story not mean anything to you? Your whole comment speaks of revenge. Who is it against? The publisher because they reported something you didn't like or your men because they spoke up! Chief you just lost my confidence in you. Donna Higbee for next Chief. That's my vote. Hey Chief. You commenting again ? In addition to his Facebook post chief Moran was overheard saying that if the guys hate him now he will stay longer and the officers will really hate him. The chief needs to take a long look in the mirror before he takes his revenge on the entire dept. most of whom have nothing to do with any of this. I suspect the chief is the one that will self destruct as he is the one who has been plotting the destruction of others. I hope the Chief didn't post that facebook comment while he was working because that is against Department Policy and Procedures. Instead of attacking the person who wrote the article why doesn't the Chief get ahold of his department. This is a disgrace in leadership. Reminds me of the $60,000 paid to the two captains. Chief had no idea. Yeah right okay. Galloway's biggest problem continues to be a lack of real leadership. We have a tow truck driver running the town and he appoints his buddy to run the police department. He pushed to have his other buddy be township manager. I would laugh if it didn't cost us so much money. The saddest part is we keep electing these people. They all continue to pad their own pockets, and pensions at our expense - when will we ever learn? Really Chief, a facebook posting. How childish and immature. What you couldn't just pass a note in study hall? Maybe you could just make up a rumor about the publisher and spread it around school, wait you already tried that didn't you. Glad to see we have the mental equivalent of a 14 year old running a multi-million dollar department. "I'm still here doing the right thing"....as opposed to what..?..His own actions..?..So he's opposing himself OR he's simply opposed to being called out by his own R&F and being its being reported accordingly. His FB post reads like another means to intimidate. He'll likly go out in a ball of flames with either his own lawsuit in his wake or multiple ones by others beneath him. Those with this character always leave that great tasting legacy behind. One thing I noticed here...all the anonymous postings with derogatory comments focused at the Galloway leadership. However, on the Facebook site, where you pretty much have to post with your real name...it's a different story...the comments there are mostly in support of our leadership and question the merits of this story. So if you're "man" enough, post with your real name...if you wanna post the accusations you are making, don't hide behind a keyboard, stand behind your comment and stand up to your accusation. First off guys and gals who work for the PD obviously can't use their reals names due to retaliation. Secondly none of the comments posted are from members of the PD. doesn't that tell you something? How can u confirm none of the comments are from the PD? Is "bross 181" your given name? Or is it a nickname, because it just rolls off the tongue? Either way, something to think of - with previous reports of retaliation at the work place and rumors of threats made against private citizens, maybe people dont want to be harassed or worse. Maybe everyone isn't as brave as you - bros181-lol. bross181, the comment was posted under that user name because that is the name you are logged into through google. Through a post I see on here dated 7/7 at 830pm and also through other means, I've learned that some folks believe a few rambling posts on here are from me. I haven't decided which is more annoying, the fact that anyone I worked with there could believe that I would anonymously post such acrimony or that anyone would associate me with such a butchering of English grammar. The posts are not mine and the views expressed in them are not mine. Big Bross man proves the point without even trying. When he reads an opinion that differs from his, they get attacked. They are called a coward. Maybe they DO know him through working in Galloway, and don't want to be harassed. Maybe they don't need threats against them or their family. The shame of it is not that people will not post their name, it is that they fear they would have to deal with people like Big Bross Man if they did. Ross we all know who you are and that you're a man of your word and also the self proclaimed coward Police....yada, yada, yada. We also all know that you are the "muscle" for the party you've branded yourself with and now you're here to clean the proverbial house, if you will. Always waiting in the wings to avenge your fellow politicos. No rhyme or reason to the details, no deviating from the political course at hand and surely not able to provide a non biased opinion. That is clear just from your post history. It's no secret that anonymity is key due to the players at hand. Quite frankly, it's kinda scary stuff that some of the individuals reported on lately have done and are capable of doing. Most if not all of it is true. Who needs that crap in their life. Just reading the comments speaks volumes that people are frustrated and are waking up. You can't deny that...doesn't it bother you? Just be a Galloway resident for a moment and not the "buddy". Jay #33, can you now give us your expertise opinion on this article and what Moran is doing? It's implied on your part Bill. Come on, you know that. Just because there are some here that don't agree with you doesn't mean they can be played as fools. You're making a poor name for yourself as of late around the township and beyond. None of this is worth it. I can't imagine that there is anything really tangible in it for you. Support your friends on a more personal level. There is no need to let them know that you are on here telling us all so. It's not reflecting well. Now there is some unbiased insight...on the house even. Who said anyone was afraid of retaliation from you? It was a question. And it was also a reason some said they wouldn't comment under their name for fear of. Are you gonna comment to me under your real name? Everyone is talking about the Facebook posting that the Chief put up. I do not have Facebook but does anyone have proof that they can put on the site or in comments. I want to see for myself how ridiculous, if true, the Chief acted. I have a copy, I will add to the article shortly. Thank you. Asking the Press for proof would of had me waiting 30 years. You have a fast response rate that I appreciate. Reading that comment now give me assurance that I can say I am extremely disappointed in our Chief of Police. Patrick is a home grown Galloway man and to act like that is beyond absurd. Ask your friends for support but maybe you should apologize before seeking revenge on those you believe have hurt you. Like button needed on JP post. I'm friends with Pat on his Facebook page and I do not see where he is friends with this Publisher. That means to me that this Publisher is really connected and supporter. I'm jumping on the bandwagon. Sorry Pat but I have to side with her on this one. Interesting the Mayor of Galloway liked Morans Facebook posting seeking revenge.....oh wait no its not...that's all they do is seek revenge. But when they are called out they cry. When they embarrass others publicly they point fingers. Good luck to Purdy. He will need it to get reelected. I hear October is a bad month for Mayors on reelection. Anonymous or not many of the statements seemingly reflect the same general consensus that Galloway Township is weighted heavily with self serving appointed officials who have monopolize the township for their own personal gains. Many of the conflicts of interest are blatant and in the face. The appointing of friends, the wrongful terminations, threats, coercion, and favoritism all reads like a dime store novel. Come election day you better believe, “I going to clean house” with my votes. Big Bross Man why are you so eager to get everyone's name? You obviously want them for some reason. Why? And to your second point, politics is dirty everywhere so that makes it right? Mom & dad never taught you 2 wrongs don't make a right? I do have a question...if a majority of the police force is against, or not in agreement, with Moran, how com they don't file a non-confidence vote with the union? A no confidence vote means absolutely nothing to this administration. Every member of the department could have no confidence in the Chief and he will just show up to the next roll call making fun of his own guys that don't believe in him and walk away with the other guys that claim they believe in him. They only do that because they want the next appointment from him. Whether it be traffic or DB. The most unprofessional conduct is happening right now. Those with the most fear end up friending him. Those that don't care, just want nothing to do with him. Has the Chief issued an apology for his statements yet? No apology has been issued to this Publisher, I am not aware of any to the Department Staff.